 Hjelmeland M D, Hjelmeland A B, Sathornsumetee S, et al. 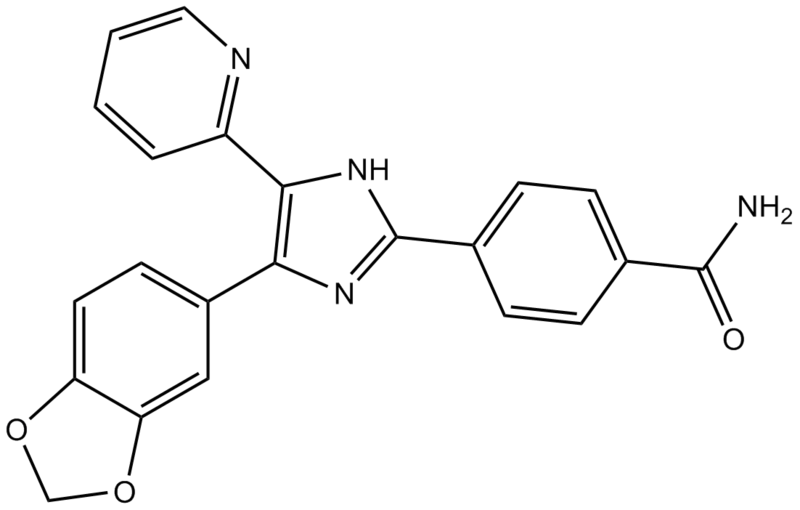 SB-431542, a small molecule transforming growth factor-β-receptor antagonist, inhibits human glioma cell line proliferation and motility. Molecular Cancer Therapeutics, 2004, 3(6): 737-745. Tanaka H, Shinto O, Yashiro M, et al. 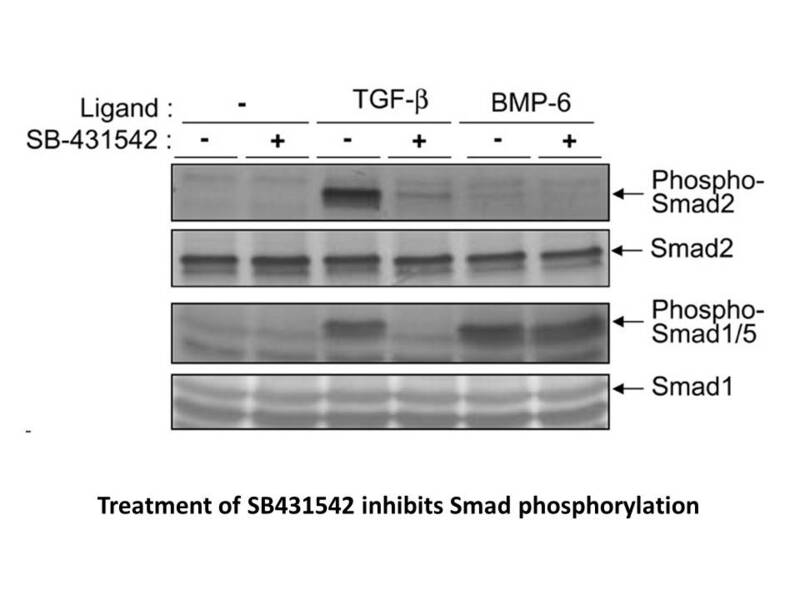 Transforming growth factor b signaling inhibitor, SB-431542, induces maturation of dendritic cells and enhances anti-tumor activity. Oncology reports, 2010, 24: 1637-1643. Callahan J F, Burgess J L, Fornwald J A, et al. 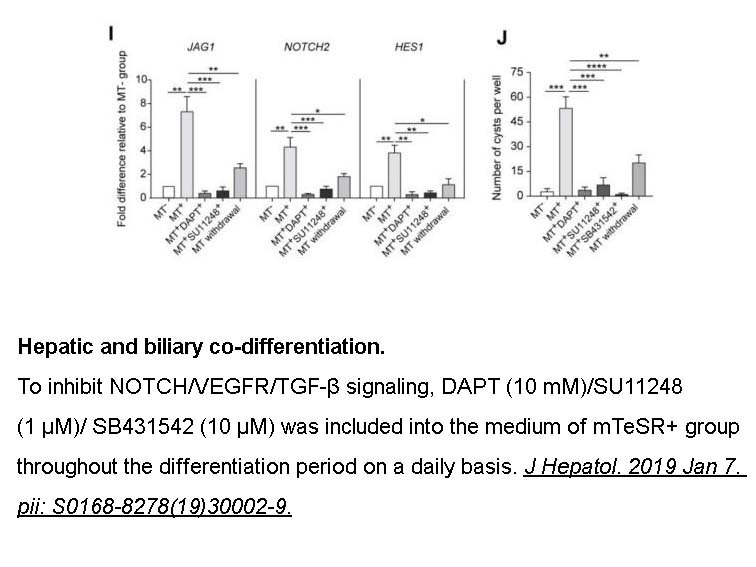 Identification of novel inhibitors of the transforming growth factor β1 (TGF-β1) type 1 receptor (ALK5). 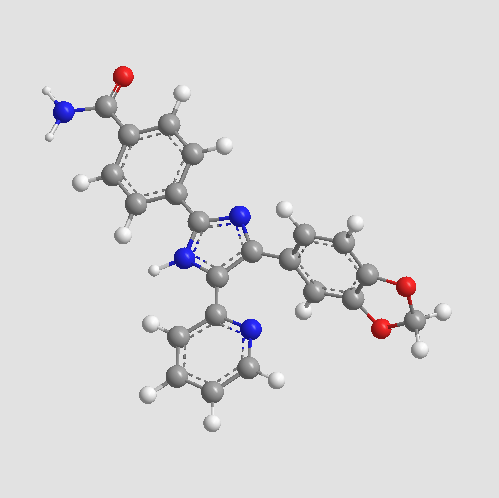 Journal of medicinal chemistry, 2002, 45(5): 999-1001. Inman G J, Nicolás F J, Callahan J F, et al. SB-431542 is a potent and specific inhibitor of transforming growth factor-β superfamily type I activin receptor-like kinase (ALK) receptors ALK4, ALK5, and ALK7. Molecular pharmacology, 2002, 62(1): 65-74.